DrinkWire is Liquor.com’s showcase for the best articles, recipes and reviews from the web’s top writers and bloggers. In this post, Creative Culinary offers a boozy dessert recipe. I still get a couple of food magazines delivered to me each month; I enjoy reading them when I find a few moments to relax but it seems finding that time is harder and harder. So, not surprisingly, I can get behind and find myself grabbing an issue with recipes better suited for a different season. 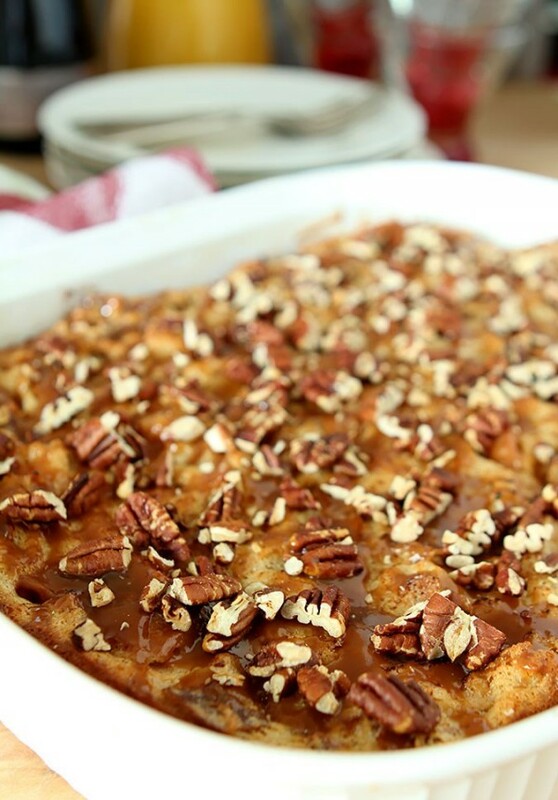 That’s how I happened upon this recipe for Apple Bread Pudding with Bourbon Caramel Sauce. I recently started to read the Summer 2017 issue of Southern Living and this recipe using peaches sounded divine but alas…not a fresh peach in sight. So it took a nano second to decide that it would be equally good with apples. If I’m honest this happened several weeks ago when we were smack dab in the middle of fall and while I made the dish and photographed it; other items took precedence and I’ve been remiss to not have shared this sooner. I think it still a great recipe to share now. I continue to see a wide range of apples at the market and more importantly? Most of the preparation is done the night before you plan to enjoy this dish for breakfast…makes for a really simple morning routine and who doesn’t love that with company and holidays colliding very soon? Want more? I’ve got a couple of versions of another favorite make ahead breakfast dish. All three of them are delightful! Whisk together egg yolks, milk, vanilla extract, cinnamon, salt, 2 cups heavy cream, and 2/3 cup granulated sugar in a large bowl until thoroughly combined. Add bread pieces, and toss to coat pieces evenly. Cover and chill 8 to 12 hours to allow bread to absorb the liquid. Beat egg whites with an electric mixer on high speed until soft peaks form. 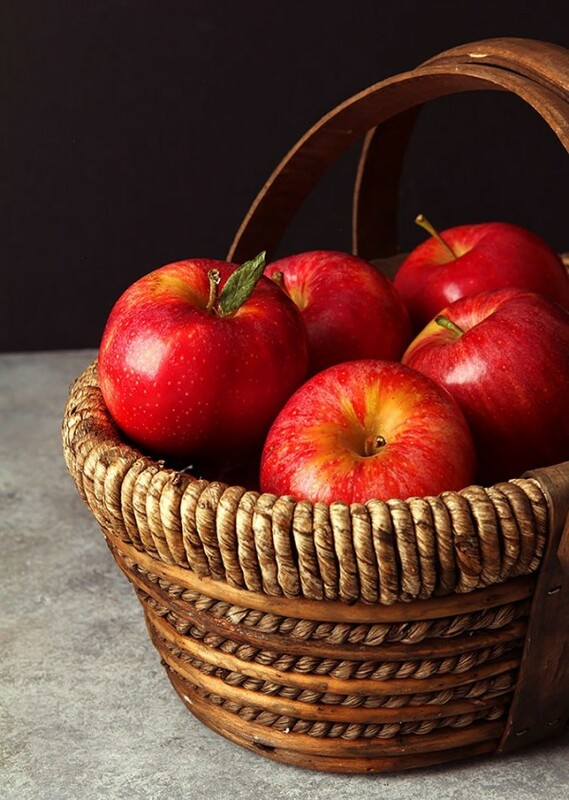 Remove soaked bread from refrigerator; stir in 4 tablespoons salted butter pieces and chopped apples. Fold in whipped egg whites until combined. Transfer mixture to a well-greased (with butter) 13- x 9-inch baking dish or a large cast-iron skillet. Cover loosely with aluminum foil, and bake in preheated oven until it puffs in the center, about 45 minutes. Remove foil, and bake until the top is lightly browned, 25 to 30 minutes. Melt 2 tablespoons unsalted butter in a medium saucepan over medium-high; stir in water and 1 cup granulated sugar. Cook, without stirring, until mixture is a medium shade of brown, 4 to 6 minutes. Carefully whisk in 1 cup heavy cream. (Mixture will bubble up as the cream is added.) Remove from heat, and whisk in bourbon. 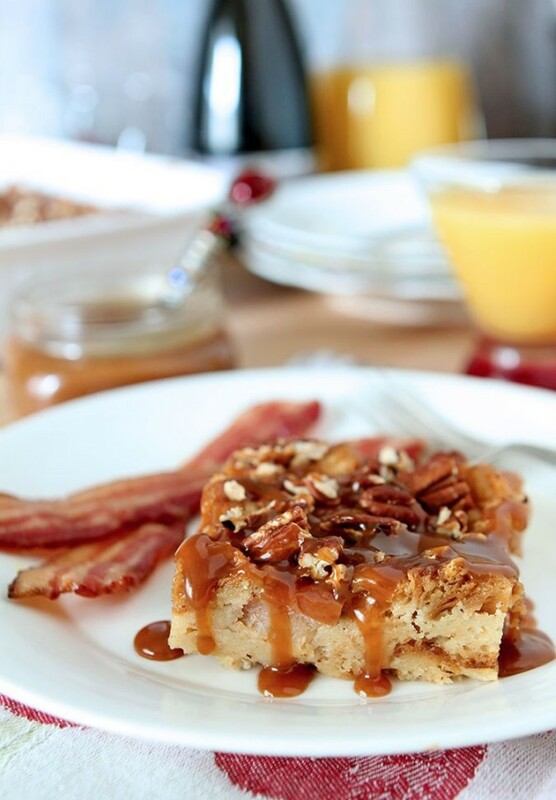 Serve bread pudding with bourbon caramel sauce and chopped pecans scattered on top. The post Apple Bread Pudding with Bourbon Caramel Sauce appeared first on Creative Culinary.